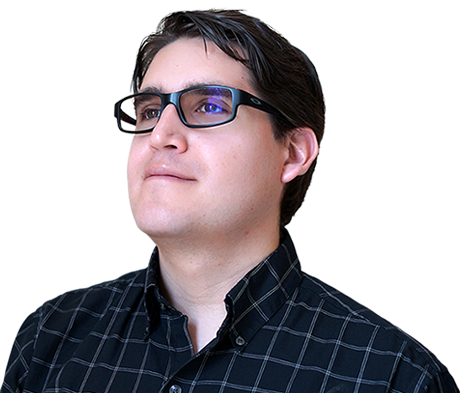 Manuel Rodriguez (“Manny”) is a front end developer at The Jake Group where he is responsible for bringing websites to life using HTML, CSS and Java Script, his passion for building and crafting serves him well as he pursues pixel perfect websites. His past life in the hospitality industry has helped him to always keep the client in mind on every project. Manny received a B.S. in Information Systems Analysis from the University of Wisconsin – Superior and SUNY Binghamton (MIS). While Manny is not at his desk in our office, you can find him visiting his family in Chile (hola! ), skiing in the mountains of Colorado or enjoying the bay on Cape Cod. I was born in Santiago de Chile, I am a former mountain guide and I learned how to ski on an active volcano called Volcan Villarica. Besides all of my nerdy interest, I am an avid hard rock and heavy metal fan. I have watched all the seasons of "How I met your mother " at least 3 times. Skiing, Walking my dog, Playing the electric guitar, trying the latest technologies in web development, Building things from scratch, Subarus. Metallica "Sports Authority Field at Mile High"